As you know, the college admissions process can be very stressful for low-income, first-generation students, especially if they are undocumented and we want to make things a little easier. Tina Meetran, a CV alum and current College Access Advisor is creating an undocumented student guide where she will be compiling the must-know knowledge of the process and making it accessible to everyone in a clear and concise way! Find out more about the guide and process below. Join us for our Family Open House this Thursday! 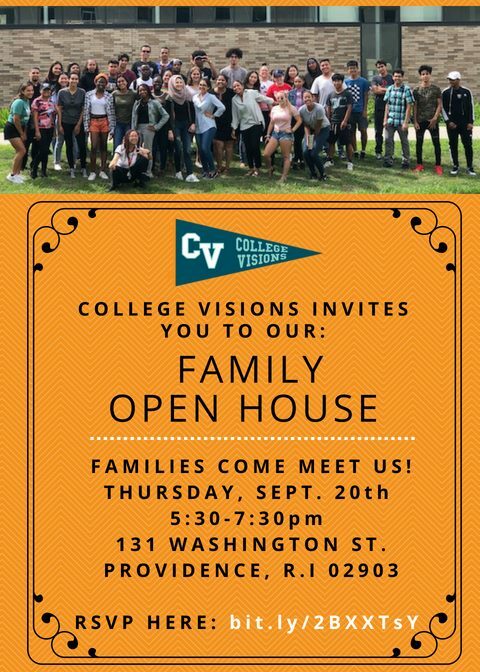 College Visions is hosting a fun and informative open house for parents, guardians, and students. It will be a great opportunity to learn about the College Visions program directly from your student’s college advisor. Come and gain a better understanding of how you can play an active role in your student’s college admissions process. Ben at ben@collegevisions.org or 401-490-3996. College Visions presentará una noche informativa para familias, tutores, y estudiantes. Será una gran oportunidad para aprender sobre nuestro programa directamente de los consejeros trabajando con su estudiante. Venga a recibir un mejor entendimiento de como apoyar a su estudiante en el proceso de aplicación a la universidad. Si usted tiene alguna pregunta, por favor no dude en llamarnos. Wake Up With CV & Blue State Coffee! 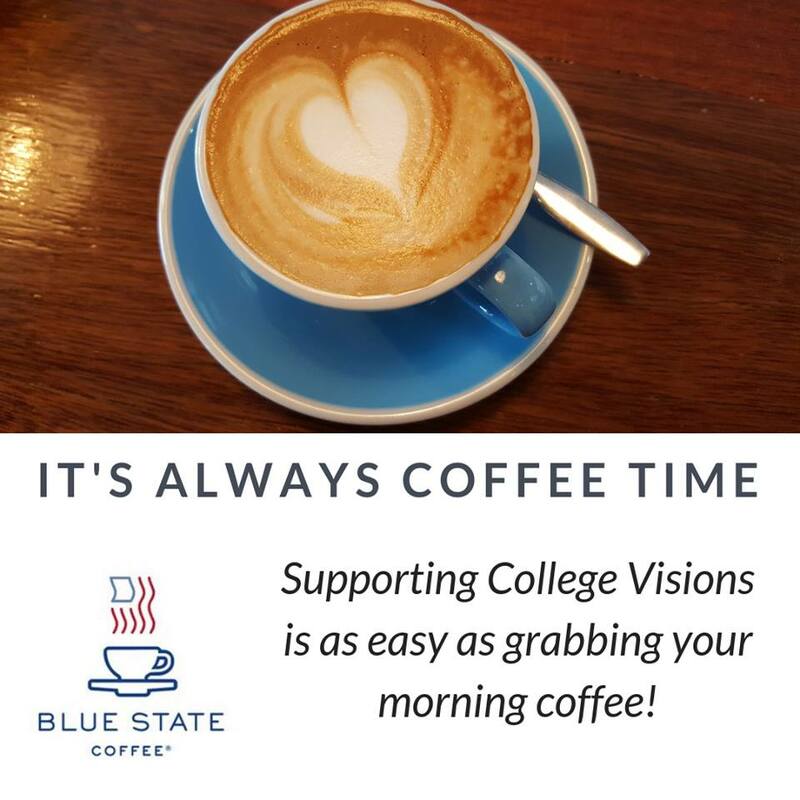 As you grab a cup of coffee consider supporting College Visions students by voting for us at Blue State Coffee at 300 Thayer Street, Providence, RI 02906! 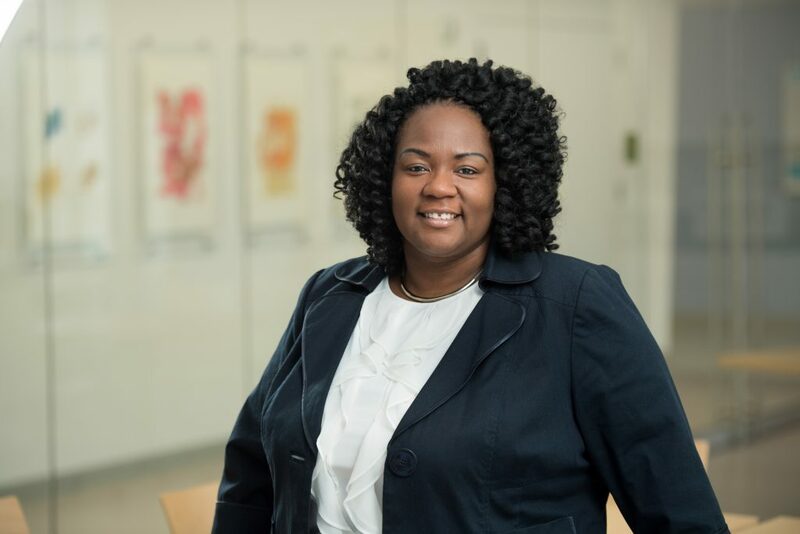 With your support, student success is inevitable! Kickoff with us on October 16th!! 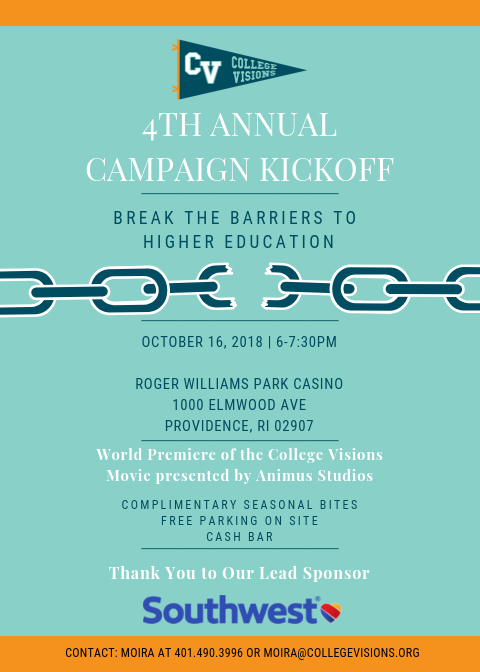 Will you join us for our 4th Annual Campaign Kickoff? CV needs you to help break the barriers to higher education for low-income, first-generation students! This event is free and will feature inspiring young leaders, great conversation, and good food! The night will also feature the world premier of the new CV Movie. Click the link below to register, and help us spread the word by sharing this event!